It is important for every homeowner to ensure that their roof is always in an excellent condition. This will ensure that the safety of your household assets and your family is not compromised. Like every part of your home, the roofing unit also needs frequent maintenance and repair services to ensure that it stays put. Read on to know five important reasons why you should consider roof repair and restoration services. Over time, your roof will develop damages because of continuous use and consistent exposure to elements like rain and wind. Additionally, homes situated in localities that are prone to harsh weather conditions are susceptible to roof damage. When you carry out preventive restoration measures promptly, you will guarantee the longevity of the roof and avoid a complete roof replacement. Exceptional roof repair companies will restore your roofing unit to a new state. When quality materials are used for roofing restoration, you will be confident that the roof will remain steady and strong for many years. This means that it will withstand harsh weather conditions like snow, heavy rain, high winds, and the hot sun. This will guarantee safety for you, your family, and your household assets. A roof system requires regular surface treatment, high-pressure cleaning, and sealing tasks that necessitate the expertise of experienced and trained roofers. The roof is an important part of a house that requires the care of professionals. 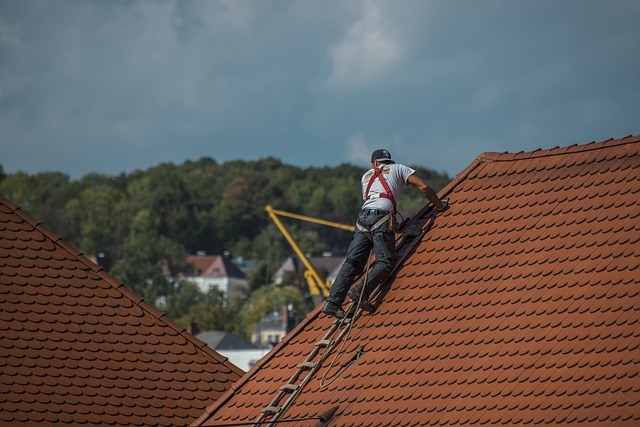 Any damage resulting from weather conditions or other problems will make it susceptible, and this will increase the probability of someone falling down or tripping while on the roof. In the worst cases, it can result in permanent disabilities or even death. Roof repair professionals are trained and experienced in handling roofing repair projects. Local Brisbane trades have adequate protective gear and equipment, and will know how to avoid any injuries. When the roofing system deteriorates with time, you will likely experience increased leakages. If water is seeping into your home, then it will result in the growth of mold and mildew, and water damage. This is a huge problem that you cannot fix with a bucket. However, when your roof is restored, it will prevent the occurrence of leaks on the roof. Professionals will ensure that all tiles and shingles are in position, and that your roof is sealed. When the roof is damaged, then it will not be sealed properly. In such a case, it will allow air out of the home. In summer, a damaged roof can result in the home heating up more than is required. As a result, you will end up cranking up your air conditioner, and this will cause your electricity bills to skyrocket. When your roof is in perfect condition, you will save money through lower energy bills. The value of a home will depend on the aesthetics and the promise of safety. If your roofing system looks worn out, it can be challenging to conceal these defects. The beauty of a good house can be destroyed by common defects such as heavy-weather erosion, accumulated debris, raised tiles, cracks resulting from expansion or contraction, and many more. When you restore your roof, it will help to boost the value of your property and keep your home intact. With the best roof restoration company, you will save money on further repairs. When you leave roof problems unattended for long, you will jeopardize the condition of your roof and ceiling. Timely restoration and repair services will help you save money on repair bills. Make sure that you hire the right roofing company and enjoy all the aforementioned benefits.